There are plenty of remote controlled cars and helicopter style flying devices available, which can be controlled by your iOS device. Some of which we have featured here on Geeky Gadgets. But this new Aquabotix Hydroview robot submarine brings a whole new dimension to iOS remote control, and allows you to explore the deep. 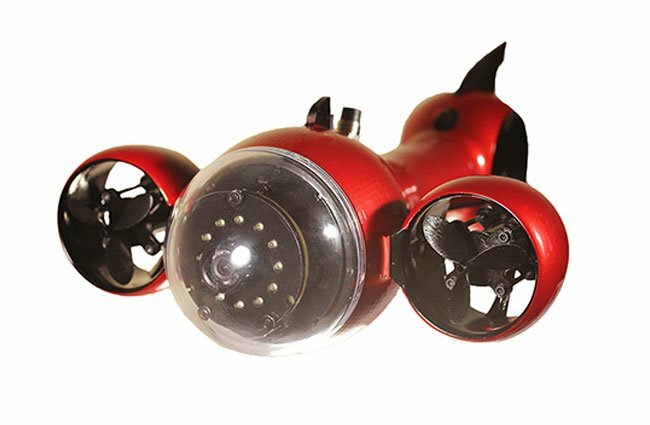 The Aquabotix Hydroview robot submarine is a light weight underwater vehicle that is equipped with a high definition camera and LED lights. The Aquabotix Hydroview robot submarine is currently available to purchase for $3,000 and would be a perfect addition to any boat owners equipment.